This puppy is in Tennessee. Adoption Donation $175 if picked up in TN, $225 plus transport fee for out of state adoptions. 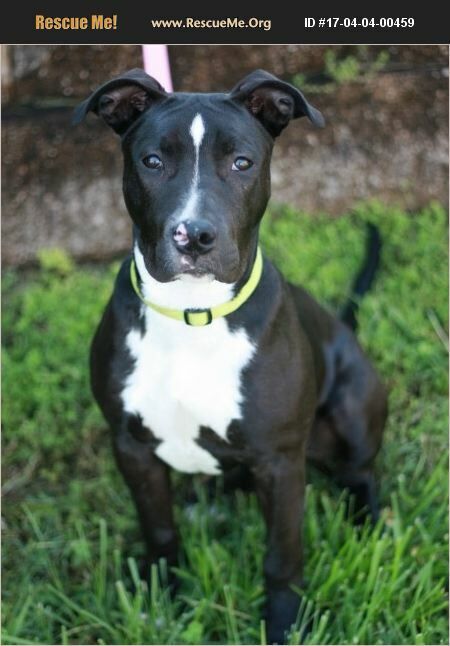 Make magic happen by falling in love with Marina, a stunning and smart 1 year old Terrier mix.�%A0Marina is a goofy, energetic,�%A0and eager-to-please 'luvabull' 60 lb girl! She is all about living life to the fullest. Marina has been thru a 4 week professional training course and has learned all her basic commands�%A0(be sure to watch her video! )�%A0and is happy to learn whatever you care to teach her.�%A0She�%A0is very human-oriented, and craves�%A0to be the center of your attention and affection.�%A0Marina does well on a leash when wearing her�%A0Easy Walk halter, and is always up for a walk or hike.�%A0She delights in playing with her toys and will fetch them until she gets tired or hot, and then she will find a cool place to lay down and rest with them.�%A0Marina is being fostered in a country home setting and revels in running across the fields, splashing through the creek, and riding shotgun in her foster dad's ATV.�%A0Marina is looking for an�%A0adopter that understands what it's like to live with�%A0a playful puppy in a big dog body, and, also one that is up for some serious snuggle time when the day is done.�%A0She dreams of�%A0a home with a big�%A0yard that will allow for plenty of playtime and daily exercise.�%A0 Marina's current home does not have cats, but she has been around them and is politely curious of them.�%A0Marina is housetrained, spayed, up to date on vaccinations, current on heartworm and flea/tick prevention, and ready to meet her forever family.�%A0 Looking for a sweet, loyal young pup that is�%A0affectionate and playful? Look no further than Marina, she will make you smile, laugh, fall in love, and wonder how you ever lived without her. Contact us today to make Marina part of your family!